Your body is a map of your existence, and a rich source of stories and starting points for your journal writing. Connect with “the soft animal of your body”. 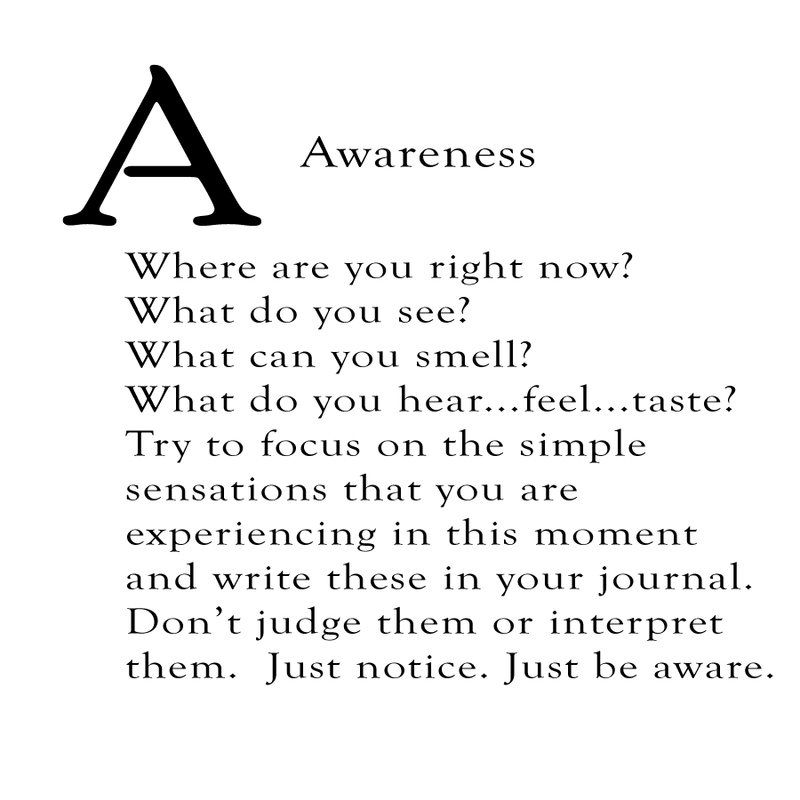 The simplest way to begin a journal entry is to describe your surroundings and what you are perceiving through all of your senses. It brings you into the present moment, which is a good place to start any writing from. Stop, take a few breaths, check in with yourself. Record the sights, sounds, textures, scents and tastes you're taking in at this moment - without any embellishment. If that's all you write today - it may just be enough. 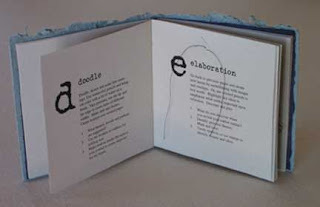 This is a little handmade book I bought years ago, that I keep close at hand in my journal kit: a limited edition created by two Santa Fe book artists, Edi Klingner and Piper Leigh, entitled: "Excursions - 26 starts for the empty page". 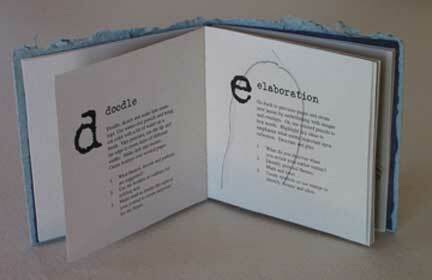 It contains wonderful, unique prompts for journaling - one for each letter of the alphabet. It's great, when I feel a little stuck for inspiration, to open this up to a random page and use the prompt to get my journaling started. 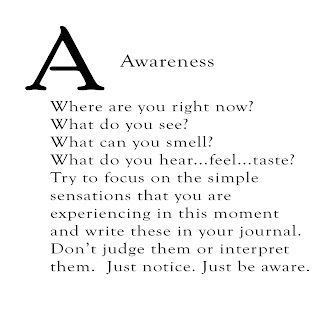 In the spirit of this, I will be offering up my own version of simple journaling prompts, A to Z, in the weeks ahead. I hope you'll enjoy them, collect them, and use them to take you on a journey of your own! You can search throughout the entire universe for someone who is more deserving of your love and affection than you are yourself, and that person is not to be found anywhere. You yourself, as much as anybody in the entire universe, deserves your love and affection. Sri Nisargadatta Maharaj : Once you realize that the road is the goal and that you are always on the road, not to reach a goal, but to enjoy its beauty and its wisdom, life ceases to be a task and becomes natural and simple, in itself an ecstasy.